Key performance indicators (KPI’s) are put in place to evaluate the success of a particular activity or goal. A KPI is a measurable value which demonstrates how effectively a company is achieving key business objectives. They need to make your team focus on the most important areas for you right now, and also be designed to measure outcomes. Their main purpose is to demonstrate the effectiveness of your campaign/campaigns and to help keep you honest and on track when it comes to reaching your goals and targets each month. Which KPI’s should you be prioritising? Your KPI’s will vary depending on the type of campaign you’re running, who you’re targeting, and where your audience are in their buyers journey. There are so many KPI’s that it might make it difficult to decide what to report on. To find a starting point, identify a few critical KPI’s that you want, and need, to regularly report on. In this blog, we review the RACE model. This model can help determine which KPI’s you should be measuring for key areas and stages of your digital marketing strategy. RACE stands for reach, act, convert, and engage and you can apply the RACE framework to the customers buyer journey of awareness – consideration – decision. Use the KPIs below to review both your campaign performance and identify problems in your digital marketing strategy which need to be improved on. In the reach stage of your digital marketing strategy, the main focus is to build brand awareness. In this stage, marketing activities such as search engine optimisation, social media marketing, and online advertising can be optimised. You want to strategically promote your content, drawing the right people to your site. The following KPIs can be measured in this area of your digital marketing strategy. Measuring your unique visitors/visitors indicates the overall awareness of your website and how popular your sight is. Why is this KPI important? It gives you an indication of how compelling and popular your site is and how much traffic your site is gathering. This KPI measures the level of engagement a piece of content is receiving. This can be content in the form of blogs, website content, social media content, videos etc. This KPI tells you how interactive the content you’re creating actually is. Engagement could be in the form of likes, comments, shares, clicking links. If you have a high engagement rate then you can be assured the content you’re creating and publishing is relevant and providing value to visitors. Measuring how many people visited your website as a result of unpaid advertising is an excellent source of feedback for your SEO efforts and overall brand awareness. Search engines aren’t static. You should be constantly monitoring this metric so you can stay up to date with campaign performance. In the RACE model, act, short for interact, focuses on persuading site visitors and prospects to take the next step in becoming a customer. In this stage landing page optimisation, A/B testing, and lead generation are marketing activities you can prioritise. The following KPIs can be measured in this area of your digital strategy. This is an obvious one. The more leads you can acquire the more opportunity you have to make a sale and the more opportunity you have for growth. Set specific goals for how many leads you want to acquire over a specific period of time, after all, leads drive your business! How effective are you when it comes to converting online traffic into paying customers? Use this KPI to monitor conversion rates and keep your marketing goals top of mind. In the convert stage, you want to turn your audience into paying customers. Much like the act stage, optimise marketing activities such as landing page optimisation and lead generation processes. The following KPIs can be measured in this area of your digital strategy. This KPI answers the question, how much revenue has the marketing campaign brought the company? This KPI measures the effectiveness of campaigns, the profitability of your business, and the value of your business. Sales revenue also indicates whether you’re converting customers and whether your business is profitable and growing. This KPI is useful to measure the effectiveness of marketing campaigns. If your goal is to generate new leads, you need to know how much it costs to acquire them. The cost per lead KPI helps you and your team determine the return on investment of your campaign and other lead generation efforts. A physical figure allows you and your team to understand how much money you’re spending on acquiring a new lead and if it is worth your time and resources. If your landing page is doing it’s job correctly, it’s drawing people in and successfully converting them to leads. If you have underperforming landing pages you need to change something, and fast. If they’re not generating leads, you’re wasting time and resources. Don’t be lured into a false sense of security just because your landing page is getting a lot of traffic; monitoring this metric allows you to determine whether this traffic is converting. If they’re not, take a look at the content you have on your landing page. Is it guiding your visitors to leads or turning them away. In the engagement stage you aim to develop a long term relationship with your first time customers to build customer loyalty. In this stage optimise marketing activities such as content marketing, promotional emails, and enewsletters. Measured the following KPIs for this area of your digital strategy. This KPI measures how effective your email campaigns are. It measures whether you’re engaging your audience by tracking key metrics like open and click rates. Your open rates tell you things like how well did your subject perform, did you send the email at a good time during the day, are you a credible sender? Your click rates tell you if the content you’re putting out is relevant, engaging, and interesting. 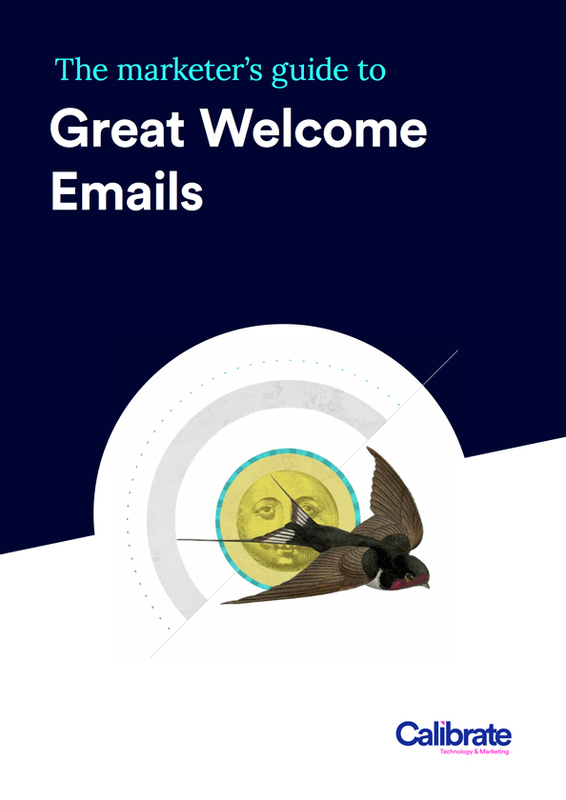 Your content needs to resonate with the people you’re sending emails to. If you’re open and click rates are high and/or improving it’s a obvious indicator that what you’re doing is working….for the time being. In a nutshell, ROI tells us how effective our marketing campaign was. The most effective way to measure your return on investment is to combine data sets from a variety of sources such as Google Analytics and your marketing automation and CRM platforms. This will allow you to identify trends and correlations. The question you want answered when measuring your ROI is “how much revenue is my marketing campaign generating compared to the cost of running it?” Your return on investment KPI will help you determine whether your team is getting back, in terms of reward, the time and money spent developing and executing the campaign. You can sleep soundly knowing your campaign was a success if your sales are greater than your campaign investment. Measure your ROI against industry benchmarks and previous months ROI. Over time your KPIs might change. What once was an important KPI to monitor might no longer serve a purpose depending on the campaign you’re running, the goals you’ve set behind the campaign, and where you’re audience is in their own buyer journeys. Ultimately, the KPIs you’re measuring need to tell you how effective your company is at achieving their own goals and objectives. Be selective when choosing which KPIs you’re going to measure, and change them when necessary. We love collaborating with clients to come up with a strategy that will help smash through barriers and achieve success. We can help you produce a digital strategy containing the relevant KPIs that your business needs to measure in 2018. Shoot us an email at hello@calibrate.co.nz or call us on 09 600 1478 to get in touch. Gmail? iPhone? Outlook? The top 10 email platforms in 2015 are..